The Mike Alstott Foundation along with former Tampa Bay Buccaneer Mike Alstott, his wife Nicole, and their daughters will hold the tenth annual Mike Alstott Family Foundation Sports Buddies Day, Saturday, December 9, 2017. The Sports Buddies Day will feature a variety of activities, including the Buccaneers Play 60 football drills and Rock Solid All-Stars cheerleading instruction. The event will also include special entertainment, autographs by Alstott, and lunch for all participants. The event is one of a number of activities leading up to the December 21st Bad Boy Mowers Gasparilla Bowl held at Tropicana Field. In celebration of the Bowl, all participants at the Sports Buddies Day will receive a ticket to the game. The mission of Big Brothers Big Sisters is to help children reach their potential through professionally supported, one-to-one relationships with measurable impact. Independent studies show children who have a Big Brother or Big Sister are more likely to graduate to the next grade level and less likely to end up in the juvenile justice system. The Sports Buddies program’s philosophy is to recruit more male volunteers. Many of the children who are waiting to be matched with a caring adult mentor are young boys. Sports Buddies allows the volunteer (Big) and child (Little) to spend time together enjoying sports twice a month For more information about the Sports Buddies program, visit www.bbbspc.org, or call 888.412.BIGS. 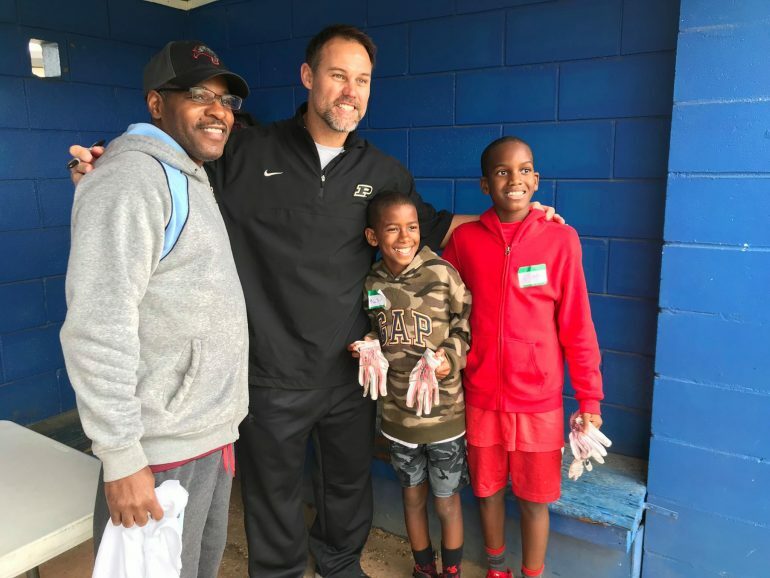 The Mike Alstott Family Foundation was formed to allow the Alstotts to assist others in uplifting the minds, hearts, and spirits of families and children on their way to realizing their full potential through various events, assistance programs, and celebrations.